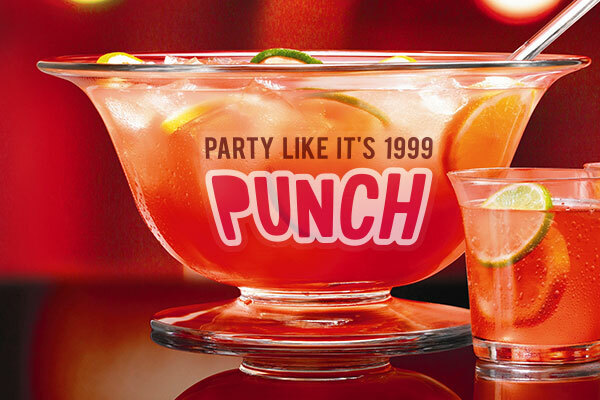 The end of another year is certainly a reason to party. If you're thinking about hosting a celebration for your friends and family, we have some great ideas to help make it a hit. 1) Awesome invitations. We know its all about the e-invite these days, but everyone likes receiving a pretty envelope in the mail once in a while. 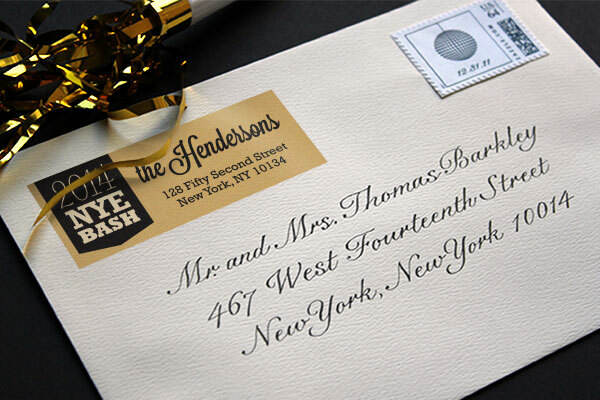 Create your own address labels and stickers to set the theme of the party and get everyone excited. 2) Custom name labels. We're not talking about the traditional "Hello, my name is..." labels. This is your chance to get creative. Have everyone choose a new name and hand out name labels that say "New Year, New Me! Tonight my name is...". If everyone already knows each other, change it up a bit and create name labels that say "My New Year Resolution is ..." . Easy way to get people talking. 3) Custom glassware and dishes. If you're having a theme party then themed dishware is key. Don't bother buying new dishes, just create some custom clear vinyl labels for your glasses. You can even create name decals so people won't mix up their drinks. Use stickers to label different snack bowls. They will come off clean after the party. 4) Custom wine labels or beer labels. 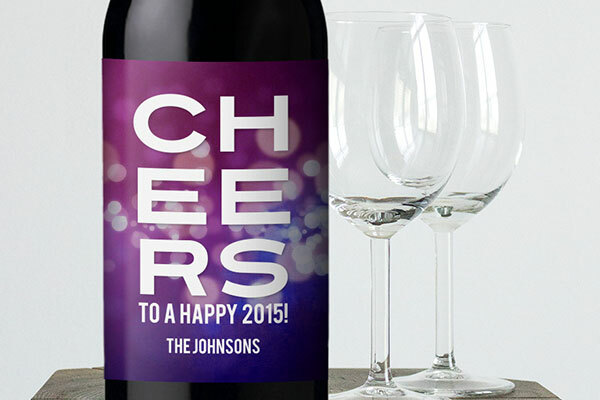 It's easy to replace the labels on your wine bottles with some awesome theme appropriate or "Happy New Year" labels. Buy a bottle of champagne and label it for midnight toasts. If you are attending a party, this also makes a great gift for the host or hostess. 5) Give your guests party favors during the night. Create custom labels that match your party theme. You don't need to break the bank on these. 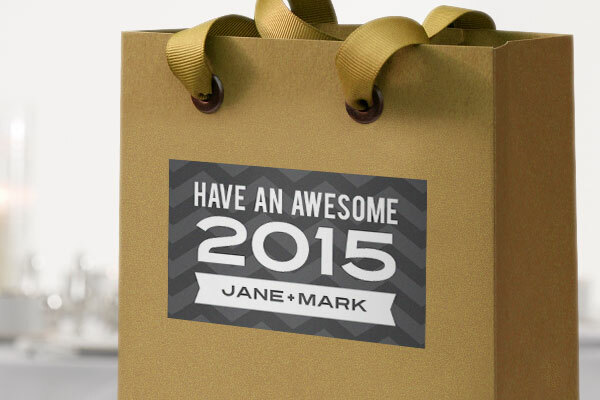 You can even DIY the favors, but a custom favor sticker will make them look like you splurged. 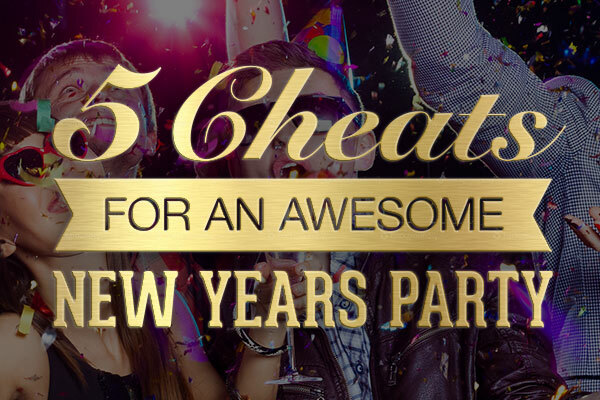 With a bit of party planning know-how and a little bit of design perception , you can host an awesome party that ushers in the New Year with style (even on a tight budget).